When you find your twin flame you undergo many changes. Those changes can be mental, emotional, spiritual, and even physical. We are all destined to find our twin flames as our lives move forth, while we do not always end up by our twin’s side when we do we become far more ourselves than we have ever been. One of the most interesting and noticeable changes that can come from being with your twin on the level that you deserve is the eye color change. This change will not happen overnight but the longer you’re with your twin/the more time you spend with him or her the more your eyes will change. 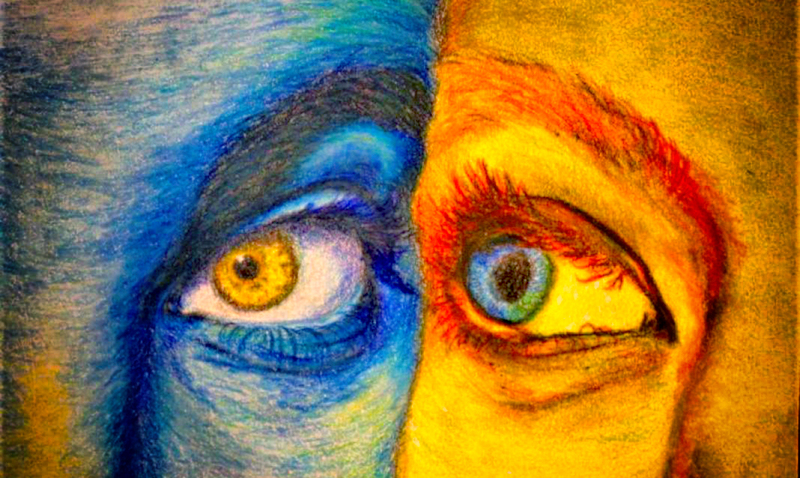 Our eyes and the eyes of our twin become closer in color to one another. While this might be hard to believe if you really pay close attention once you’ve found your twin you will see the difference big time. When you’re going through twin flame activation these changes will be quite prominent. Sure, some couples will experience more intense changes than others but even the smallest shifts can be quite mind-blowing. This eye color change is a physical symbol of the unity that the two of you have. It is a representation of your bond and should be cherished. For those who may not quite be aware twin flames are some of the most interesting connections, we can have as we move through this world. Your twin is someone who was born from the same soul energy as you, it is your soul physically manifested over again in the same life. “Sometimes discussed in terms of a “mirror soul” or “soul connection”, a twin flame is the other half of your soul. It is theorized that a soul can split into two after ascending to a high frequency. Thereafter, the soul lands in two different bodies. If you compare a twin flame vs. soulmate, it’s important to note that a soul mate is someone who is made from the same kind of energy as you, but who has never existed in fusion with you. So, although soul mate connections are highly significant, an encounter with a twin flame is on another level entirely. Usually, this will lead to romance. However, it can also manifest in the form of an intense friendship. For instance, if you have blue eyes and your twin has brown eyes you may both end up with some kind of hazel-like color once all is said and done. His or her eyes will become lighter and yours darker in that sense. One twin will be stronger than the other and that twin’s eye color will be more prominent than that of the other. The twin whose eyes change the most has been said in the past to be the most empathic of the two.